Truth Is Beauty. 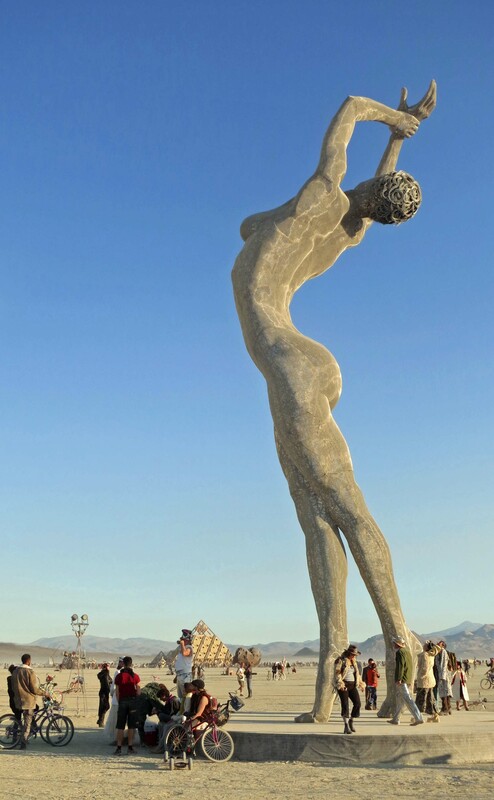 This 55 foot tall sculpture was a main attraction at Burning Man 2013– for a good reason. There are two sets of greeters when you enter the Kingdom of Burning Man. The first are Border Guards. They check your passports, i.e. tickets. Then they ask the usual questions: “Are you carrying anyone else? Do you have a pet on board? Do you have guns?” Trying to sneak someone in can get you banned. Usually someone climbs on board and checks our bathroom. This time, the guy waved us on. We were disguised as middle-class retirees. We could have been someone’s grandparents. Heck, we are someone’s grandparents. Categories: Recreation | Tags: America, Bliss, Burning of the man, The burning man festival, Truth is beauty, USA | Permalink.